It’s actually called the TIE silencer? Good grief. Say what you like about Lucas but he came up with better names than that. It’s actually called the TIE silencer? Good grief. 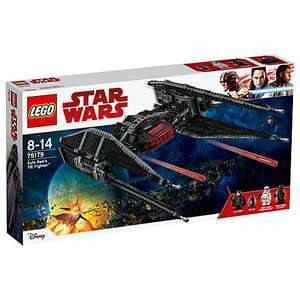 Say what you like about …It’s actually called the TIE silencer? Good grief. Say what you like about Lucas but he came up with better names than that. Now back in stock at Amazon for the same price, with Prime delivery option. It was direct from amazon when I posted that. FYI,The link might give you a different seller once amazon has sold out.